When an impending trial looms, it is more critical than ever for companies to partner with legal counsel who have a proven track record of trial success. Today’s businesses operate in a complex legal environment and face changing financial and market dynamics. Without the right team in place, trial costs skyrocket, risks increase exponentially, and courtroom strategies may fail. Seyfarth’s National Trial Team has an extensive record of achieving successful outcomes and meeting client expectations. We bring keen strategic insights and innovative ideas to all types of employment and commercial litigation. Our approach is proactive and unrelenting as we develop strategies in collaboration with our clients that prioritize their objectives and their definition of success at trial. 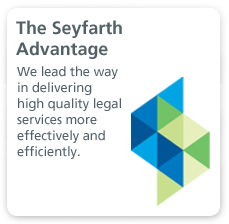 In addition to our trial experience, Seyfarth knows how to effectively manage significant and complex cases. Our right-sized staffing models help you achieve your objectives for any given case and put forward the most persuasive argument at trial. A suite of cutting-edge technology solutions enable us to collaborate closely with our clients, manage litigation budgets and efficiently communicate with in-house and outside counsel teams. We pride ourselves on seamless collaboration with clients at every stage of the case. Many lawyers and law firms are adept at handling litigation, but trial work is a true specialty. Few cases go to trial, so a change of counsel may be warranted after settlement discussions fail or the court denies summary judgment. Whether clients hire us at the very beginning of the case or in the pre-trial phase, Seyfarth quickly pulls together the most qualified team of trial lawyers to successfully try the case to our clients’ satisfaction. Our National Trial Team also has often been asked to work collaboratively with the case team from another firm. We collaborate on strategy and, depending on the wishes of the client, may help try the case or support the trial team. Some clients even ask us to serve as “strategic counsel,” to lend another set of eyes to the facts and law as the case is prepared. Our extraordinary jury trial track record makes us the perfect team member. The National Trial Team’s breadth of experience keeps all members up to speed with the latest knowledge and intelligence we need to deliver state-of-the-art representation to our clients. Trial Team members share insights on particular judges and venues, track the latest and best trial management and presentation technologies, and develop new trial strategies, tactics and practices. The National Trial Team also maintains valuable internal databases containing motions in limine, jury instructions and pre-trial orders. Supporting our National Trial Team, Seyfarth maintains an infrastructure every bit as cutting-edge as our attorneys. Our Litigation Support and Project Management functions focus on assisting our attorneys and clients in using the latest technology for discovery, production and trial needs. We use industry-leading tools for eDiscovery and data management, such as Discovery Cracker, Ringtail, CaseMap, TextMap and LiveNote. 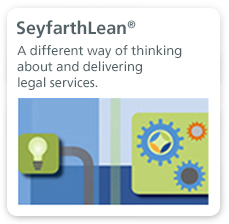 SeyfarthLink is a secure extranet that helps us manage and share with clients a wide range of litigation-related documents. 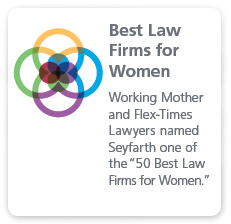 In addition, Seyfarth is one of the few law firms with a dedicated eDiscovery practice group. This nationally known team of attorneys regularly collaborates with our trial lawyers to achieve optimal results for clients. The team includes licensed forensic examiners who regularly counsel our attorneys in all the litigation and trials we handle. The attorneys of the Trade Secrets, Computer Fraud, & Non-Competes practice group of Seyfarth Shaw LLP protect and defend clients against those who improperly handle proprietary information, violate non-compete agreements, improperly solicit customers or remove electronic data from businesses, and raid employees. The Wage & Hour Litigation Blog is a resource for employers to stay current on developments in wage and hour law, including recent court decisions, legislative updates, and Department of Labor compliance, rule-making and enforcement activities. The Seyfarth Workplace Class Action Blog is a resource for corporate employers, HR professionals, C-suite executives, and corporate counsel facing the complex world of high-stakes workplace litigation. Seyfarth's ERISA & Employee Benefits Litigation Blog is a resource for companies looking for news behind the headlines on benefits litigation affecting their business. 3/28/2019 Giovanna Ferrari to Serve as Panelist for the ABA's Business Law Section’s Spring Meeting "Tips from the Trial Bench"